Samsung was not finished after releasing the Galaxy S4. There is a good possibility that in the coming days, Samsung will be releasing 3 variants of the popular S4 – the S4 Mega, S4 Active and the much talked about S4 mini. 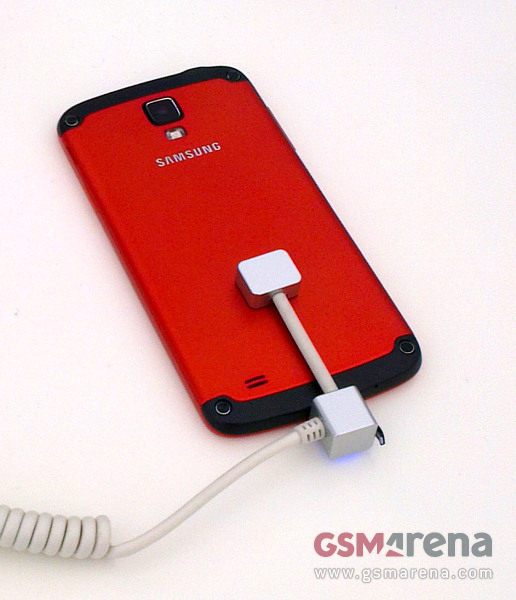 There was a recent leak by GSMArena where they posted pictures of the Galaxy S4 Active and then later on, a short sneak-peak video of the rumoured device was leaked by MobileTechReview. According to GSM Arena, the leaked shots show that the Active will be both dust and water resistant but nothing has been disclosed about it being used to capture pictures under water such as the one we saw in Xperia ZL. 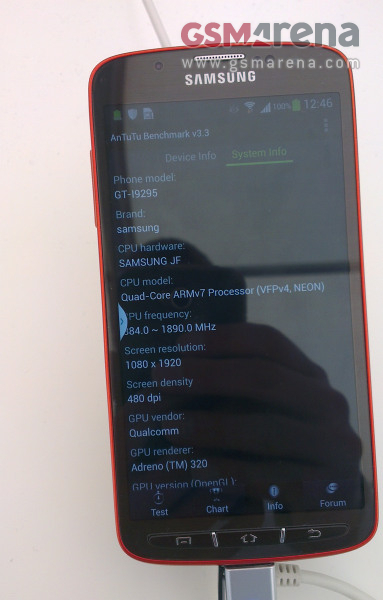 From the Antutu Benchmark screenshot, the device retains the same model number, GT-I9295, featuring a Quad-Core ARM v7 processor which is a Snapdragon 600 chipset. The device has the same 5.0 inch display with a 1920 x 1080 resolution and a pixel density of 480. This is a bit strange because of the fact that the original S4 has a 444 ppi. Sadly, the Galaxy S4 Active has a 8MP camera whereas the original S4 is powered with a 13MP sensor. There is still no indication of a Super AMOLED display but we expect the S4 Active to have it. From the pictures, we can see that the device has three physical buttons which would be easier for those in the colder climates where touch-screens become unusable. To strengthen the leaks, MobileTechReview posted a very short sneak-peak video of the Galaxy S4 Active. However in the video, it was mentioned that the device sports a dual-core processor instead of the Quad-Core processor which does contradict the information provided in the Antutu Benchmark results. If true, the S4 Active would be less powerful than the original S4. Here’s a screenshot of Samsung’s smartwatch on application where it is mentioned that the app would support the ‘upcoming S4 active mega and mini’. With all these info on these devices leaking, Samsung might be releasing the trio of smartphones pretty soon. Stay tuned for updates!